Happy Friday! 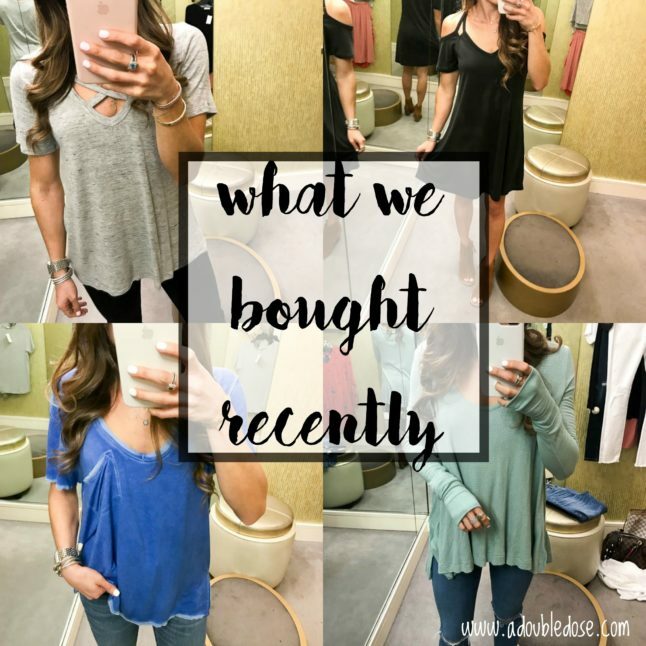 We wanted to do a quick post of what we have tried on recently/bought so you all could get them before they sell out! In case you missed the last post we did on this, you can find it here! For reference, we are 5’1″ and about 100lbs, and are wearing the smallest size (usually XXS or XS) in most pieces! 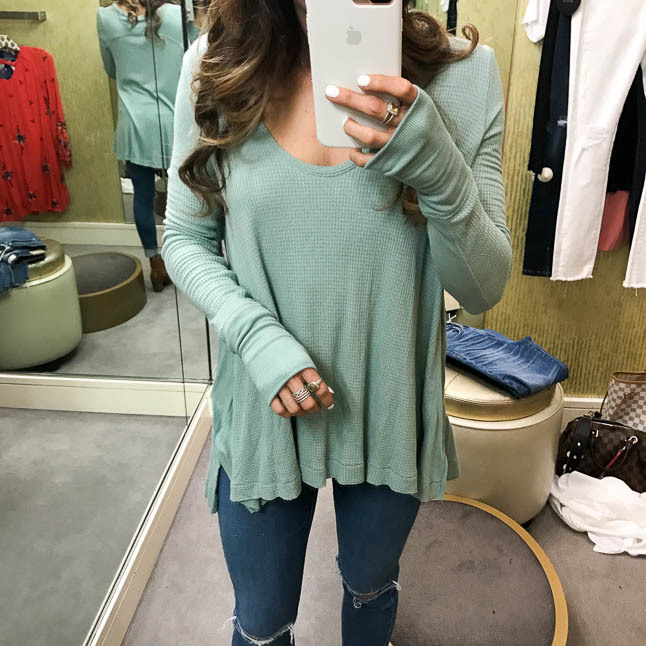 This off shoulder top is SO cute and perfect for spring! We love it with shorts or ripped jeans! You all probably will remember seeing this thermal top more than you probably wanted to, but it is such a GOOD top! Really comfy and fits well in all the right places! PS- it’s on SALE for $40!! If you’re going to buy any tee, it should be this one! The criss-cross detailing is simple, but adds something to a basic tee, and it is sooo soft! 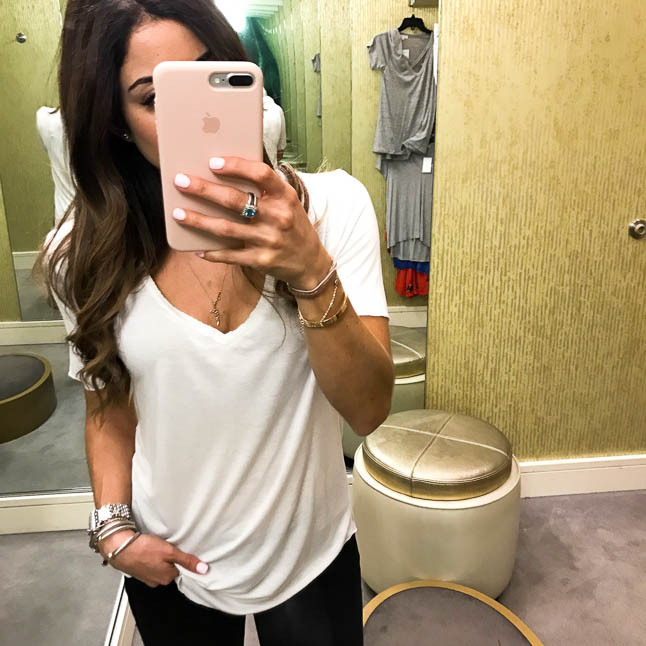 We actually own this v-neck in green and black, but the white is a staple in any closet, and it’s $17! 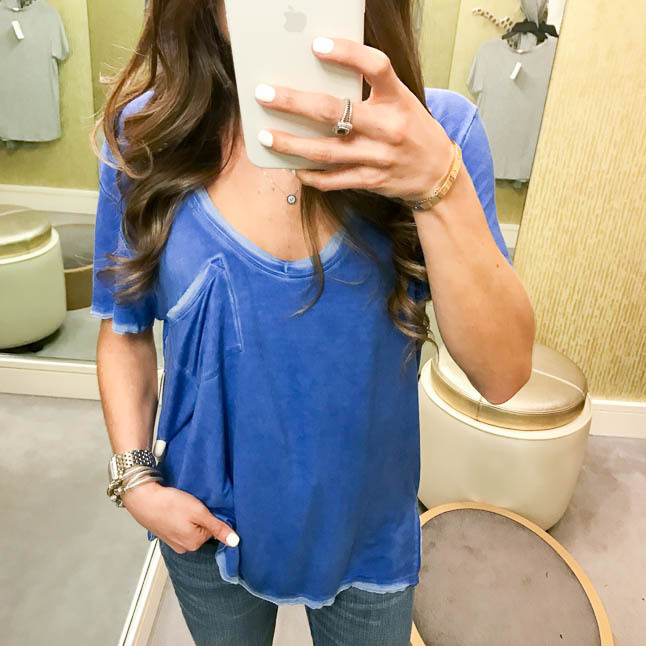 We were first drawn to this top because of the gorgeous blue color, but we love the pocket and fit of it as well! 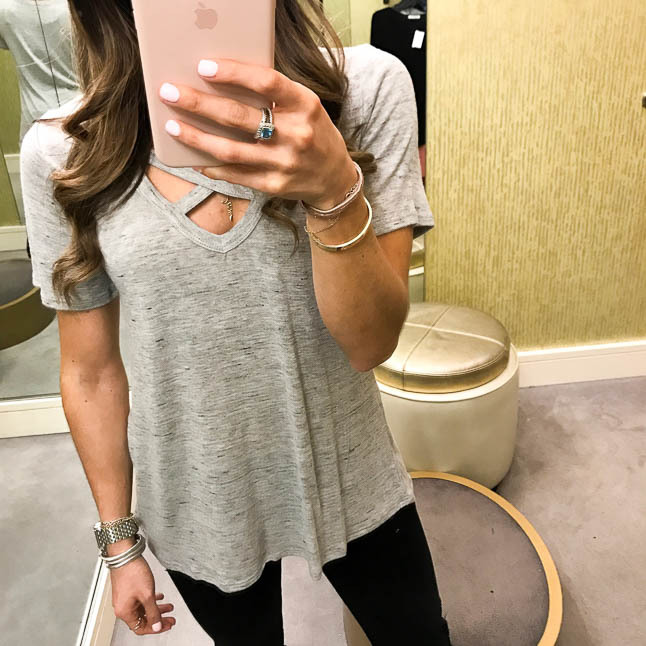 We have this v-neck in white and it is amazing! The grey is a great basic to have. How adorable is this off shoulder dress?! It is the perfect color for spring! 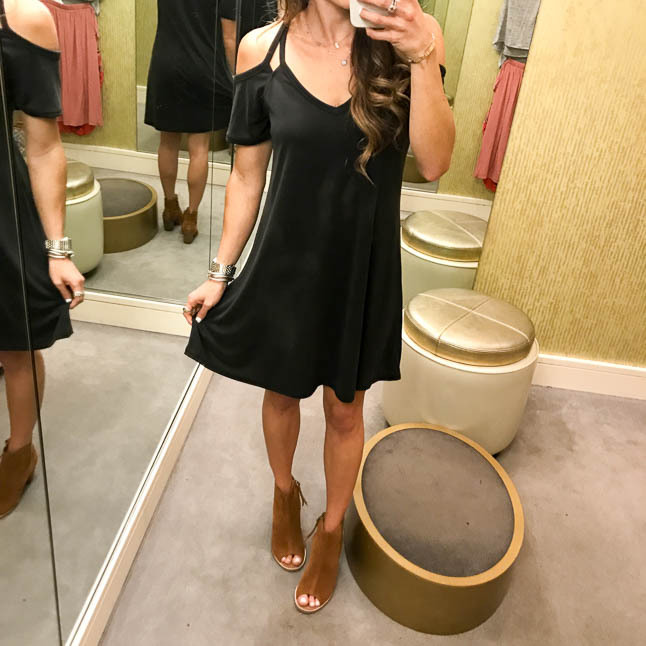 This black swing dress we HAD to have! It fits amazing and is so comfy! It also comes in a bunch of colors! This plaid top is a great layering piece for spring and can be worn all-year-long! 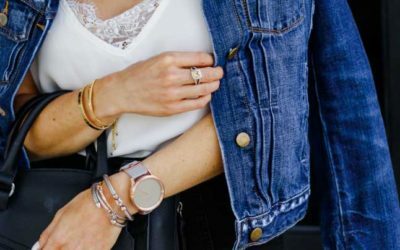 Be sure to check out the AMAZING nordstrom sale taking place through Sunday! 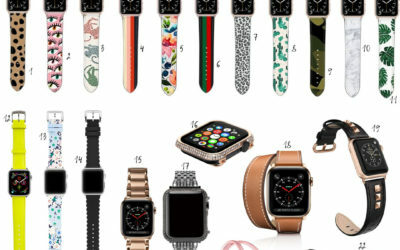 See our must-haves from the sale in this post!